In a city that values local, local, local, it’s easy to shrug off the huge Twenty Ninth Street Mall as just another collection of big box retailers. And yes, the mall has some huge anchors that you can find at any ol’ mall: Macy’s, H&M, Anthropologie. In total, the mall features more than 75 shops and restaurants. But look closer. 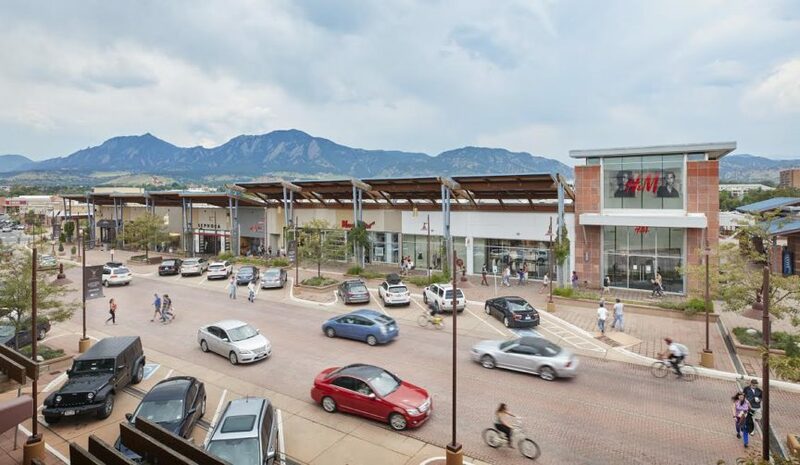 This mall, located in central Boulder, is surprisingly unique — and it has plenty of those quirky, only-in-Boulder features that make this city special. Here are 15 things that make the Twenty Ninth Street Mall uniquely Boulder. First, the layout. It’s an open-air mall, only fitting for such an outdoorsy community, with sweeping views of the Flatiron Mountains. You might be surprised to see some of the best mountain views in town from the second floor of the mall. Yes, for reals. A hidden gem here is the Little Free Library near Starbucks. This is just what it sounds like: a small box packed with books that anyone can read. Take a book, leave a book. Little Free Library was recently named a top-rated nonprofit by the Great Nonprofits Organization. It aims to increase reading by providing easier access to books for people of all incomes. 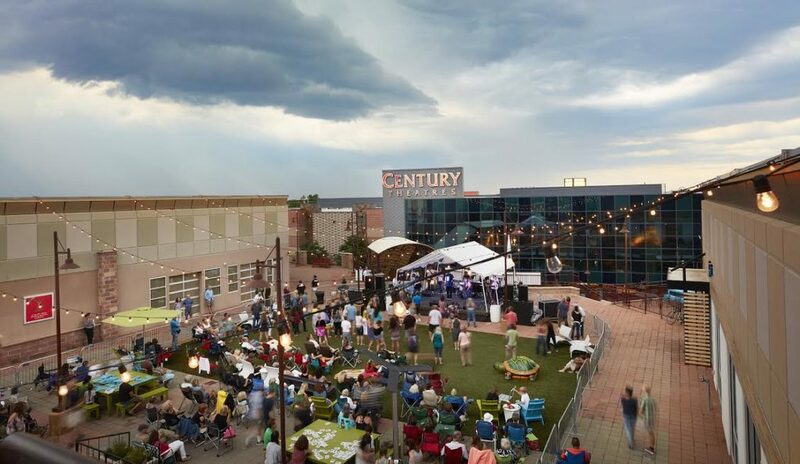 You can do more than shop at the Twenty Ninth Street Mall. Sur la Table Boulder offers cooking classes. Learn how to make macarons, croissants from scratch, sushi and more. For your next date, sign up for Date Night: Winter In Paris, where you’ll learn how to make French food (hello, chocolate mousse). The Barrel is one of the coolest spots at the mall. It’s a shipping container (you know, like the kind you’d see on a train) transformed into a bar, right in the mall’s plaza. This locally owned bar is unique to the mall and Boulder. In the summer, the Barrel opens its outdoor craft beer garden, featuring 55 rotating taps. Check out the Barrel’s happy hour 4-6 p.m. Tuesday through Friday. The Barrel also regularly hosts special events. Don’t miss the children’s play area, near Starbucks. 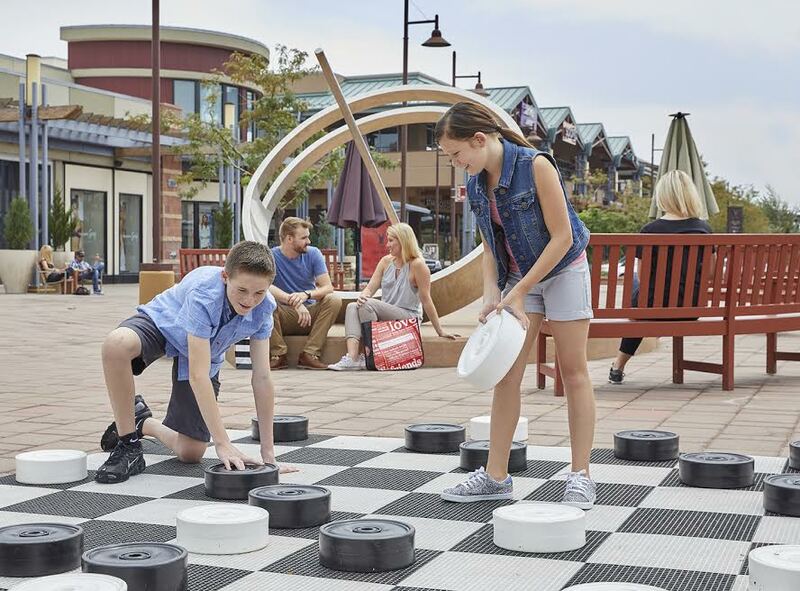 You’ll find a giant checkerboard, bean bag toss and Jenga. For “bigger kids,” there are two Boulder Bcycle stations on site (near Men’s Wearhouse and Macy’s), where you can rent a bike to ride around. 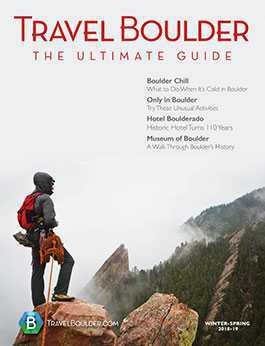 One of Boulder’s biggest and best gyms, the Colorado Athletic Club, is located just east of the main shopping strip. There is also a wildly popular Pure Barre here and a new F45 studio, which offers 45-minute high-intensity circuit training. This isn’t an ordinary mall. 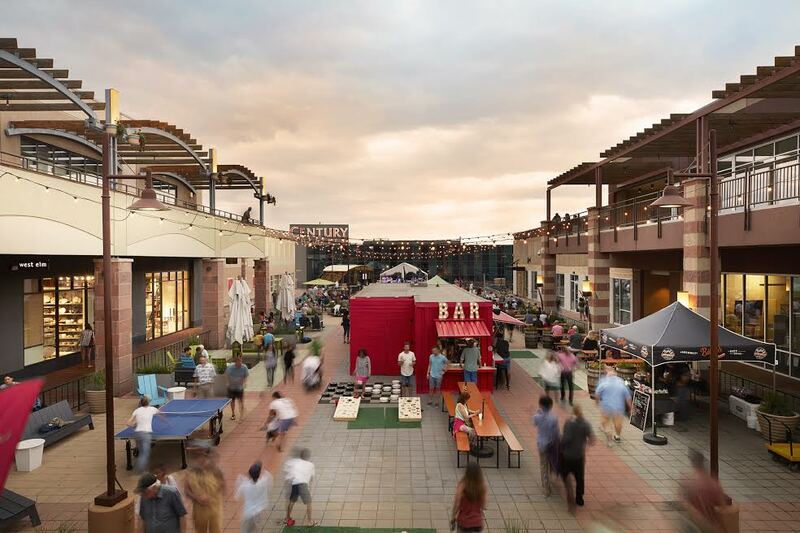 It also has office space, entertainment (including Boulder’s only movie theater), casual and quick restaurants, sit-down restaurants, a gym, boutique fitness outlets and even a grocery store (Trader Joe’s). If you want to set up your mobile office here for a day, the mall has free wifi throughout. Need a haircut or brow shaping? Head over to Zinke Hair Studio, an Aveda salon. Unlike the Pearl Street Mall and many indoor shopping malls, furry friends are welcome here. You can find disposable bag stations throughout the mall and many shops leave water bowls outside their doors for pets. Some even invite dogs inside. Wonder where the Nordstrom Rack or nearest public restrooms are? Wonder who’s having a sale? Curious how late The Barrel is open? The Twenty Ninth Street Mall has a text concierge. Just send your question to 720-507-0600 and (during business hours) expect an instant response to help you. In addition to permanent retailers, the mall also has pop-up shops. Right now, the temp shops are both Boulder-based: Spyder, an outdoor skiwear apparel company, and Pangea Organics, a skincare and beauty line. Both businesses opened pop-up shops for the holidays but decided to extend their contract longer, due to demand. The mall holds special events year-round. 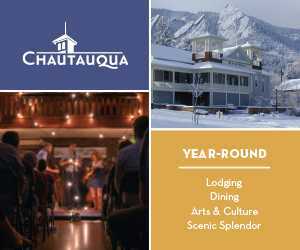 A few annual celebrations to look forward to are the Winter Beer Fest on March 3, featuring tastings of local microbrews; the Summer Concert Series on Saturday evenings in the central plaza; and the Jingle Bell Bash, a family-friendly holiday event, complete with Santa, cookie decorating, a hot chocolate station, entertainment and alcohol for the parents. 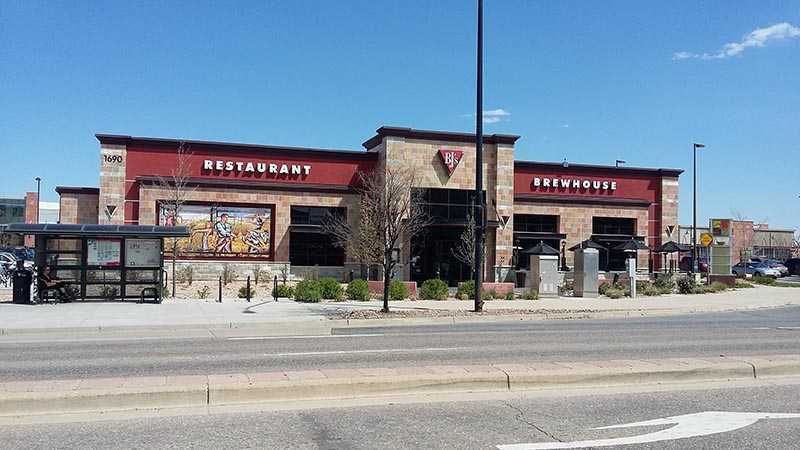 Exterior of BJ’s Restaurant on the 29th Street Mall. Courtesy Photo. The mall has a legit selection of fast, casual restaurants, including locally owned ones, like Motomaki, created by the owner of Hapa Sushi. If you’re craving a sit-down meal, there’s BJ’s Restaurant and Cantina Laredo, among others. As you walk through the mall, you will find oversized murals, painted by a local artist. Keep your eyes peeled; you never know when you’ll turn the corner to discover a giant piece of art. Here’s something you can’t find at every mall. Throughout the mall, you will find scattered igloos. Not made out of ice, but domes with a clear cover on top. Take your meeting inside the igloo (each can hold about six people), eat your lunch inside or duck into the igloo for a coffee break. Coming soon: the Lizard Thicket Boutique, a women’s lifestyle brand, is scheduled to open in 2018. Scout and Molly, a women’s boutique, is under construction now.